I don’t want to jinx it, but the weather has been absolutely gorgeous lately. A true spring with fresh, crisp, dewy mornings and afternoons that warm up just a bit. The sunshine feels so good and even thought it’s not nearly warm enough – more like chilly with a lot of light, Mike and I have been hanging out on our little deck with a blankets and a portable heater. I’m excited for spring! 1. Public school vs. private. I don’t have kids yet, but I find the public vs private school debate fascinating. 2. This made me squee. 3. Is it weird that I find these Japanese anime commercials for miso soup heartwarming? 4. I love snacks and I cannot lie. Apparently the world does too! 5. Yesterday was Momofuku Ando’s birthday. I have major instant noodle love for the man. 1. These spicy lamb noodles have my mouth watering. 2. A twist on tres leches cake! 3. The world just got infinitely better because of popcorn chicken fried steak. 4. These miso tahini avocado toasts!! 1. Might just have to pick this book up for some of the little guys in my life. 2. Can I just live inside the pages of this book featuring modern mountain cabins? So gorgeous. 3. How awesome would these eggs be for Easter?! 4. I’m thinking of scooping up this linen blend apron. I like how it’s just a wee bit shorter than a regular full apron. Perfect for shorties like me! Hope your weekend in spring-ful! There is no such thing as “too late” in life. Failure does not provide us with the key to success. The entrepreneurial spirit means creating something from nothing. Be meticulous, yet bold. Tenacity is the breeding ground for inspiration. You should develop the habit of thinking up new ideas day and night. Think, think and think again. Always look around you with a great deal of curiosity. Initiate the change instead of following the changing times. Forget about your knowledge and experiences and start from scratch. Never fall into complacence. There will always be something beyond what you aim for. Willingness to change is nothing to be ashamed of, but rather is proof of flexibility. Do what others will not. Turn work into play. Don’t come up with excuses when you fail. Time is life. The origin of every activity of humankind is related to food. Human beings are noodle beings. OMG omg that photo of you is my favorite thing EVER. Could you be any cuter, lady?! I LOVE IT. And as usual, I’m obsessed with all your links — the public/private school article, so so fascinating. And every one of those food links!!! Love your Friday Finds always :D but I love that top photo most of all!! SqueeEEe!! Such an honor to be mentioned, Steph! I just had to pinch myself to make sure this is real. :) Thank you!!! And, OMG the comments on the kitten + rat photo (is it a rat? )…so ridic! That lead image is everything. You are the cutest!! 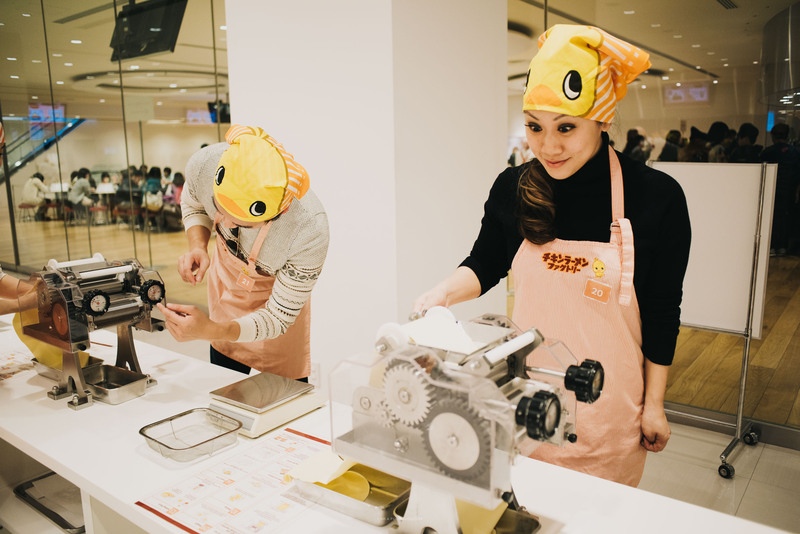 I don’t think I’ve seen a happier instant noodle maker than you. In all honesty, I haven’t seen anyone make instant noodles. But I’m sure that even if I had, you’d be the happiest. You are my weekly source for all the wonders the internet has to offer. Those food links are awesome, each and every one of them. And I totally want to get that book for my godson. Oh, and HOORAY for finding those aprons. I am always on the hunt for shorter aprons cause when you’re 5’3″ aprons are always too long. Always. That quote is pretty amazing! That tres leches cake!! Love. You look freakin’ adorable in that picture, Stephanie. Love your list as always. love that photo of you, steph! too awesome! and that quote (! ): human beings are noodle beings – how true is that!? hope you’re having a good start to the week! Ohhhh I’d love to read about your whole museum experience! !